Gaming is one of the biggest highlight in a smartphone and when we talk of the smartphones of the iOS platform, gaming is really going to be the most entertaining source than any other feature in your smartphone. But iOS games are often underestimated because of their huge price in the app store. So, in this article, I am going to give you the information about 5 top games available in the app store for free. You might have played the game Mario in childhood. Same concept, same aim, same obstacles have been put in the Jet-pack Joyride game but with high class graphics and a bit different starting. The character has to escape from a research lab with a stolen jet-pack and encounter many difficulties in the way back to his destination. The swinging fireballs, the spies and some unusual characters have to be tackled by the main character and this makes the game quite interesting and full of fun. 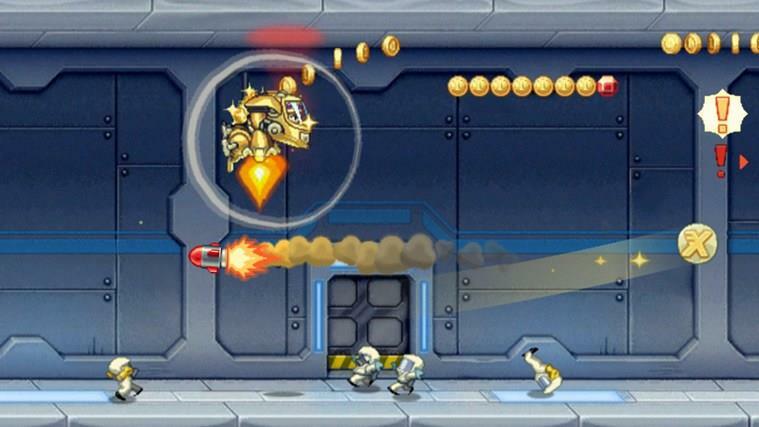 Download Jetpack Joyride for free directly from iTunes store. This is among the top 3 action games of the world so far and this games has really been able to get the attention and time of the players globally because of its great screenplay, graphics, design, user friendliness etc. The game is all about the character who has been set for the run for life, has to tackle all the obstacles and collect the coins simultaneously to boost the score which is the main purpose of the game. This game was among the top paid games up to 2014 ending and now has been made available for free for your iOS device. 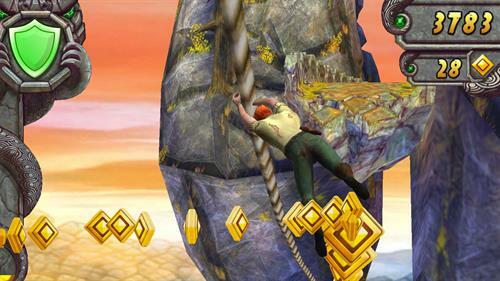 Download Temple Run 2 for free directly from iTunes store. This game is regarded boring by some of the players but I found it really interesting when I played it. All you have to do it to make the jet propelled tiny character move to height without been crushed between the swinging hammers. 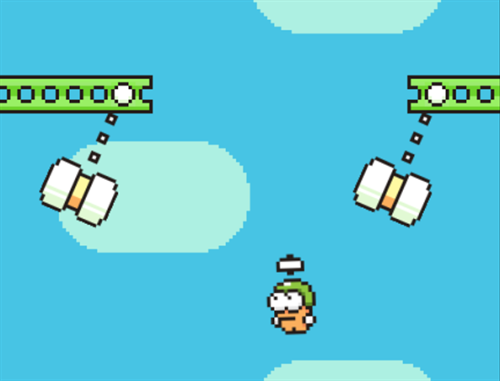 It is a game where you need to tap left, right, up or down to save the character from the hammer blows and keep it moving till it reaches the goal and move to the next level. Download JSwing Copters for free directly from iTunes store. It is a very basic game with basic graphics but full of fun. 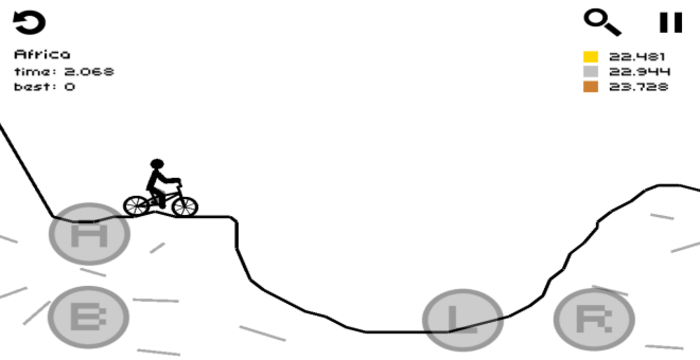 It gives you the story of a bike rider riding on slopes and depressions i.e. you have to ride the bike on an outline sketch of black color with white background and no other effects or visuals. Though the graphics are very dizzy but the challenges are fresh enough to make a player play the game for long without losing interest. On the left side of the screen, you will find the A and B button which are used to accelerate the bike Up or Down with a brake and on the ride side are the buttons L and R used to flip the bike left or right (up or down from front and back). Download JDraw Rider for free directly from iTunes store. This is really a must-have game for an iOS smartphone. The graphics, sound tracks and the screen play are so good that once we start playing it, we don't want to leave is even for a second. This games is based on the screenplay of Project IGI i.e. you have to infiltrate the enemy's area and complete the given objectives there without receiving any bullet from the team standing opposite to you. You will also find an option of about 120 character having different roles in the different levels of the game and you can freely choose your character among the 120 and play the levels with that. Download LEGO Star Wars for free directly from iTunes store. This was the information about the top 5 free iOS games for 2015. These games are really worth having in your Apple device. Among the above mentioned games, my favorite are LEGO Star Wars and Temple Run 2 and I personally suggest these two for great entertainment and time pass. The download link for each game is given just below the image of that game. So, download and enjoy! Good collection of games. Unfortunately, I don't use an iPhone. Your short and sweet review is awesome as well. Though I didn't own an iPhone, all of the games mentioned above are also available for Android. And I have played only one from them, i.e, Temple Run 2. It is very much an addictive game and I left it playing by making my massive score of 63,78,170. Moreover, I think there could be some more awesome game for iOS in 2015. Wish to look for more cool games like FPS or racing genre in your list. But after all, they all are quite good to my liking.